Twins Daily Roundtable is a weekly series. As part of this series, a question will be posed to the site’s writers and they will respond in 200 words or less (Some writers don’t like to stick to this limit). This will give readers an opportunity to see multiple points of view and then add their own point of view in the comments section. Joe Mauer continues to climb the all-time Twins leaderboard as fans have seen him reach some impressive milestones over the last calendar year. 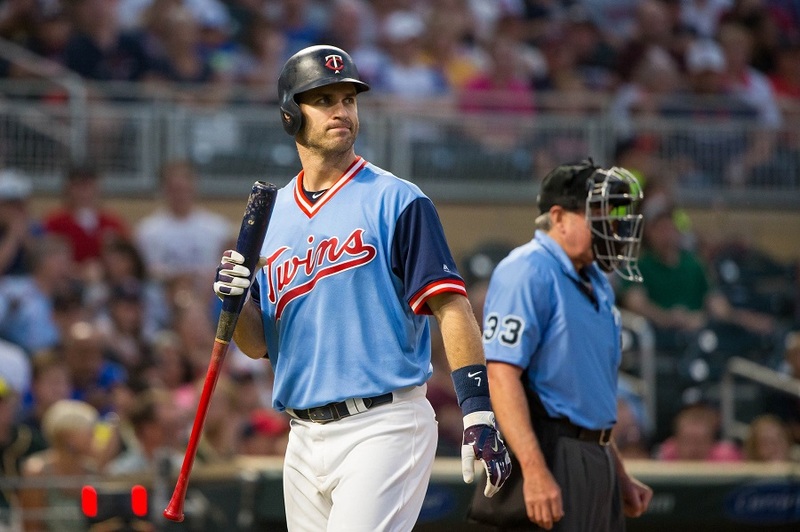 Moving forward, there are plenty of questions about what next season will bring for Mr. Mauer. His massive contract extension expires at season’s end and there’s no telling how much longer Mauer will play. Joe Mauer will decide he wants to play, because he loves to compete. The Twins will decide they want him back, because there are not going to be a lot of top flight first-base-type sluggers available on the free agent market. Plus, the Twins weren't adept at getting on base this year (.314 OBP, 9th in the AL), so Mauer remains a good fit. However, I anticipate some drama, at least privately and probably publicly, around the two sides coming to an agreement. This will be the fourth significant negotiation between Mauer and the Twins: there was the draft negotiation, the long-term deal that bought out his initial free agent year, and the $23M-per-year long-term deal. In all three of those, Mauer never advertised that he was willing to take any kind of hometown discount and pushed the team to its limit. (It's almost, again, like he loves to compete.) So I expect him to ask for more guaranteed years and more guaranteed money than the Twins will expect, and I wouldn't be surprised if we hear rumors of him being courted by other teams, or that an agreement isn't reached until later in the offseason. But ultimately, I think a one-year deal or a team-friendly two-year deal will get done. That might be my heart overruling my head. Or maybe my head is assuming that hearts will hold sway over heads on both sides of the negotiation. Either way, I hope this goes the way of "heart." Short answer: He'll do whatever he wants. Longer answer: If he wants to play, he'll be signed by the Twins for a 1-2 year deal. He could retire if he no longer enjoys it, but clearly, he's been healthy again the last couple of years and he still contributes to the Twins in multiple ways. The deeper we get into the season without an announcement, the more I feel like Joe is going to play in 2019. The Mauers are going to be welcoming the third child into their family sometime around Thanksgiving, and I'm sure that's going to play a huge role in what Joe decides about his future. I believe him when he says he hasn't really thought about it or come to a conclusion yet, but I think there will be strong interest, from the Twins, in a reunion. It's impossible to know what's really going through his head, but I think if the Twins make any kind of honest effort to bring him back, as I expect they will, he'll be back. I genuinely think that Joe returns to the Twins in 2019. I initially believed there was room for a 2- or 3-year deal, but think he'll sign a one-year pact this winter. If everything goes well, I could see him returning in 2020 as well. At the end of the day, he's an ideal leadoff hitter, and remains among the best defensive first basemen in all of baseball. The Twins should be doing what they can to push him into returning, and it'd be a good thing for them if he obliges. I’m not sure what to think after some of the decisions made by the front office this week. Falvey and Levine might decide they want to keep him around or they could decide to go in another direction. Mauer could find himself waffling through multiple emotions as well. Joe Mauer has the potential to be in the conversation of best Twins player of all-time. According to FanGraphs WAR, only Harmon Killebrew (59.3 fWAR) and Rod Carew (56.9 fWAR) have amassed more career value in a Twins uniform. Mauer might never catch those two or live up to the legend of Kirby Puckett but he’s still a once in a generation talent. I think Mauer’s competitive side wins out and we will see him back with the Twins next season. Like any player, I believe he wants to make the Hall of Fame and he will need to continue to put up numbers for multiple more seasons to pad his resume. That being said, I think he only plays for another season or two. I’ll make this short. I think Joe Mauer retires. I think the current front office will decide they want to move on from having Mauer as their primary first baseman, they will communicate that to him, and he will choose to retire rather than accept a reserve role. Is it what I would do? No. If I were Mauer, I’d have my agent shop me around for a regular spot with a potential contender, so I could get my ring. But, from all accounts, that’s not what Mauer is likely to do. But with a growing family, financial security and being at risk of further head injuries, I suspect that he will hang up the spikes, rather than accept a role where he’s watching as much as (or more than) playing. I don't think he goes anywhere else, even to chase a ring. He can still play and he's been pretty healthy the last two years, so i think he'll want to play. I think the FO isn't going to shove him out the door if he wants to play, unless his contract demands are ridiculous. they'd get crushed if Joe Mauer has a press conference where he says, "I wanted to keep playing, but they wouldn't even offer me a contract." I think he'll be back for 2019 for sure and depending on how the team does, how he does and how the minor league prospects do he might be back for 2020 as well. If he hits close to .280 with an OBP above .360 and an OPS above .750 I could see him back if the Twins team is progressing. How prospects like Kirilloff and and Rooker do next season and how close they're to the MLB will determine if the Twins want to bring him back in 2020. While I think Mauer will want to come back and play one or two more years, I do not believe Mauer will be invited back.The FO has made some "interesting" decisions regarding players lately.I do not believe Mauer is in their plans and will not be swayed by his popularity or desires. Sign Mauer. Rooker may not be ready to be an everyday player yet. Sign Joe to be the stopgap and platoon him with Austin. Shouldn't the real question be:"Do the Twins want Mauer to return"? "Doing right by Joe" is not the real decision; instead, what is best for the team, given the alternatives, is the real issue for the FO and us fans. I think Joe plays one more season, and then does a Terrence Newman: retires and immediately joins the coaching staff. Mr. Bonnes suggested there might be outside suitors? Really? Will there be much demand for a power-free 1B? A speed-free lead off hitter? If the Twins bring him back as a platoon player, I hope they pay him as a platoon player. Mauer never offered a home town discount; I hope the FO doesn’t offer a home town premium. If it is a one year deal, what number are we thinking? 5 mill? I think if Mauer comes back it will be for more money than people think, the Twins will have quite a bit of money to spend. Unless of course they some how manage to land Manny or Harper. I think he plans on playing. I think there's room in a platoon bench role. I don't think Mauer (or Molitor for that matter) will accept that role. My biggest fear is that he returns in the same role he's in for 1-2 years instead of a Nelson Cruz type signing. Could you imagine Mauer in Boston's or New York's or Houston's lineups?? He'd score 90 - 100 runs in those lineups easy. I'd like to see Mauer back but I hope he doesn't come back, I don't want to read about him and his brain injuries 20 years from now.Retire now before he hurts his head again!!! But Mauer is fairly sphinx-like: you never really know what he's thinking because he doesn't tell anyone. That's not true. It's easy to know what Joe Mauer is thinking. He's thinking about milk. I'm one of the few who thinks Mauer will spend 2019 in another team's uniform. The way I imagine this playing out is shortly after the season ends, Mauer will decide he wants to keep playing in 2019. The Twins' front office will be agreeable, but be transparent that they hope to use him in a platoon/bench bat role. Mauer, having made the decision to play, will want an everyday job, and ultimately some other team will offer it to him and he'll accept. I think that it might be another Killebrew situation:He might think that he has another year in the tank, the Twins know that he does not, and will try to prove himself right at Kansas City or Chicago or some other place close. I suspect he will be back.After writing blogs about SS, 3B, 2B I have come to the realization that they only really good fielder in the infield is Joe and we have to have him until we get real talent at the other three positions. And if he comes back he will be pushing for all the money that he can get.He seems like one of those really nice guys that probably has a streak in him that the public does not see (but his wife does) and he will not be easy to sign for a good price. The FO needs to know their limit and stick to it.